Preheat oven to 400 deg , Drizzle the garlic with olive oil. Roast in the preheated oven for about 10 minutes. Let it cool. Crush and peel the fragrant garlic. Season the shrimp with salt and pepper. Lots of pepper.. In a small bowl, combine the cilantro, lemon, white wine , olive oil , pepper flakes and garlic. Whisk together . 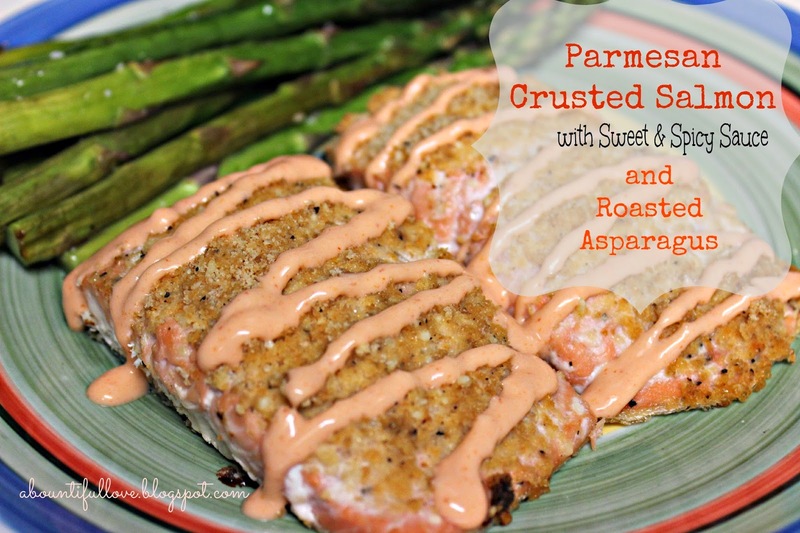 Drizzle ( with olive oil) and heat your grill pan or cast-iron skillet or grill. Drizzle the shrimp with a lil bit of olive oil too. Grill the shrimp, do not overcook . After grilling, transfer the shrimp into a separate bowl and pour in a good amount of the garlic cilantro sauce. You can save a few of the sauce for dipping. Serve with white or brown rice. It also great with a bowl of salad! 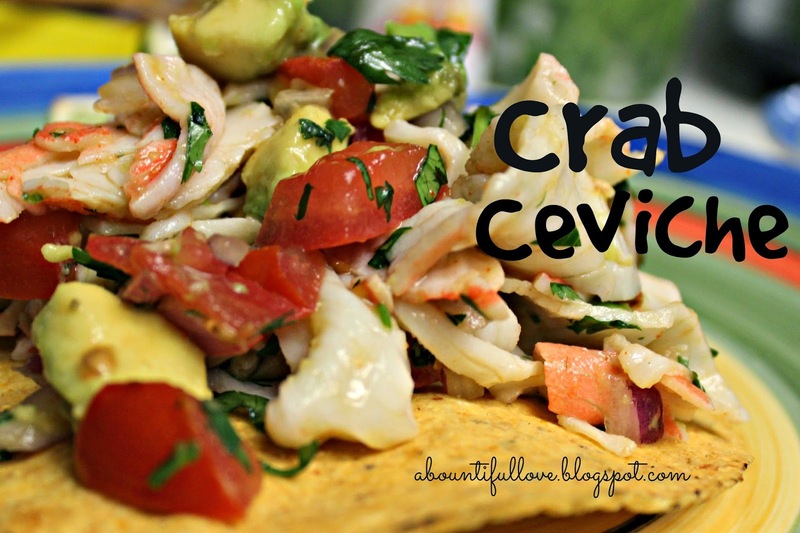 Definitely a crowd pleasing recipe! Very easy to make and quick too , though I must tell you that I was not a big fan of peeling the shrimp. Thank goodness for deveined shrimp package. I used a 2 lb bag of frozen shrimp with this recipe but of course fresh is the best. You can also use prawns. Bigger is better . 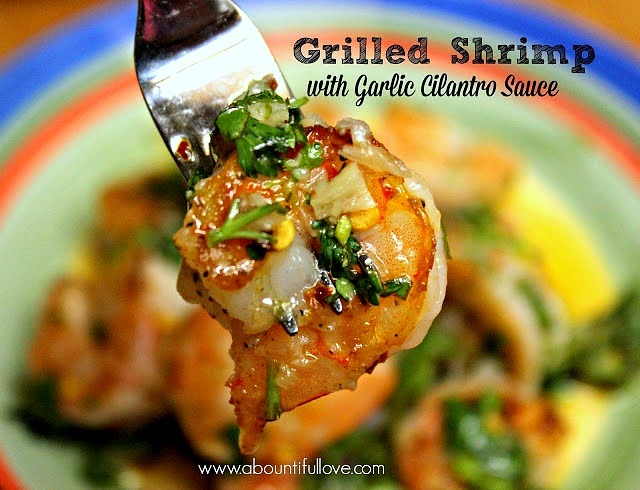 This easy and quick grilled shrimp recipe is also perfect as appetizer. Think of this grilled shrimp and beer. I like it .This summer heat brings me thoughts of cold..cold..cold..beer. Follow A Bountiful Love's board Budget Cooking on Pinterest. This looks amazing! Pinning! I was just looking for new shrimp recipes! This recipe looks absolutely yummy. Thank you for linking up at #HomeMattersParty this week. I hope you will come back next week to link up again. 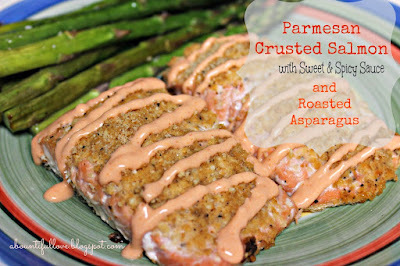 Thanks for linking up to Tasty Tuesday last week. I hope you'll link up again tomorrow! I've pinned your great recipe to the Creative K Pinterest board.